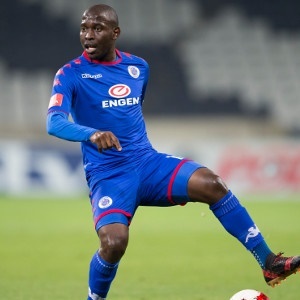 Cape Town - Ajax Cape Town's difficult season continued when they went down 1-0 to SuperSport United in a Absa Premiership encounter at the Mbombela Stadium on Wednesday. Matsatsantsa dominated the first half and should have taken a bigger lead into the break. The Urban Warriors played with far more purpose after the restart but could not sustain the tempo as Eric Tinkler's side played out the final 25 minutes with ease. The hosts had the first chances of the game as Aubrey Modiba flashed a shot wide before Azubuike Egwuekwe flicked a header over the bar. They took the lead when Richard Boateng cut in from the left flank and crossed for Modiba, who expertly sent a glancing header in at the far post. SuperSport continued to press for more goals and Ajax keeper Jody February kept out a stinging drive from Fagrie Lakay soon after before Thuso Phala fired over from a good position 10 minutes before half-time. February had more work to do three minutes before the break when he reacted very sharply to save Bradley Grobler's low shot. The visitors came out firing in the second-half and were close to scoring when Grant Margeman's cross fizzed past both Mosa Lebusa and Bantu Mzwakali in the six-yard box, before Matsatsantsa keeper Reyaad Pieterse made a breath-taking save to claw away Tashrique Morris' pile-driver just before the hour mark. SuperSport were able to survive the initial onslaught and did well to re-establish their grip on the game as Ajax's challenge began to fade. Indeed, there were no further chances as the Tshwane club held on comfortably to record a win - a positive response to last weekend's CAF Confederation Cup final defeat to TP Mazembe.